I had published my first novel already. I’d reviewed over 200 shows as the theatre critic for the M&G. I’d written on travel, done interviews and book reviews, covered exhibitions and even some politics. Muchkin was a grumpy foil I’d invented for the reviews. The truth: Munchkin is whomever I happen to be dining with, so they weren’t wrong. I was to review restaurants because it seemed to be the only thing we Capetonians cared enough about to grow the M&G’s subscriber base. 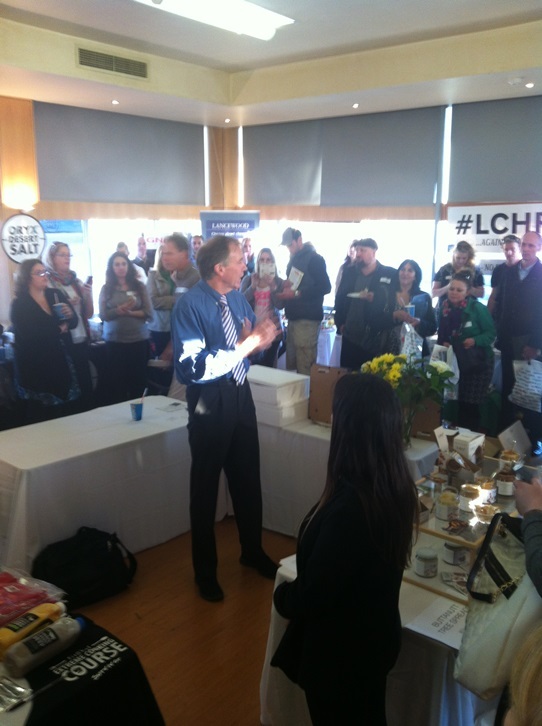 As it happens, I started just as gastroculture surged globally. Cape Town is without question the most sophisticated, diverse, food conscious city in Africa, a perfect playground for a restaurant reviewer. I’ve run the gamut; from cuisine prepared by Michelin-star chefs to restaurants serving soup indistinguishable from salad dressing; from my most expensive meal, R1150 before the tip (at The Tasting Room), to my cheapest, R25 for a full plate of injera with toppings (at the Cuisine Africaine beneath a curio market in Long Street). My Cape to Cuba review provoked a letter from the embassy that I was maligning their island nation. I’ve been able to revisit cuisines from my foreign travels in Cape Town – Moroccan, Spanish, Turkish, German, Kurdish, French, Italian, Sicilian, north and south Indian, Peruvian, Thai, Korean, Mexican, Japanese, Ethiopian, Hungarian, Sephardic, Chinese, Lebanese, Belgian, Cuban, Greek, and I still haven’t exhausted the ethnic eateries of the city. Foreign cooks have always led the restaurant scene in South Africa. Until the 1980s, the assumption being that if you were not from South Africa you could probably cook, which wasn’t entirely untrue. We had a deadly ménage à trois of British blandness, apartheid isolation and suspicious Calvinism (think of the biddies in Babette’s Feast). That and bad industrial production, America without the Americans, instant food and TV dinners, and a growing dependency on Aromat from Switzerland. Before the late 1980s, restaurants were mostly confined to hotels like the Holiday Inn where they made beef stock for French onion soup by dissolving Bovril. Who would have thought we’d export any of it? I remember standing stupefied before a special South African food section in a New Zealand supermarket with Koo canned spaghetti, fast expiring liver paste, and instant coffee proudly declaring it was 100% chicory. We haven’t exactly exported any culinary wonders. I’ve dimly reviewed koeksusters in London, and bunny chow in New York, but also written about our success with rooibos tea, marula fruit, and Kalahari truffles. Still, we haven’t anything that adds up to a national cuisine apart from burnt meat and stewing everything in a three-legged pot. But I have described what people living in South Africa happen to eat, and traced many of the origins and influences, from hunter-gatherers and beachcombers to the present day revival of San food and veldkos. As South Africa started to embrace its new democracy, we began to look for ways to redefine ourselves. We stopped simply copying Europe and stopped thinking of the indigenous and African as inferior. It’s an ongoing process. At first, local chefs began emulating the Californians and the Australians, trying to invent a new cuisine for South Africa as those countries had done for themselves, incorporating local ingredients and world trends. But those experiments soon petered out. Now our chefs freely embrace the abundance available to them, and spurred on by the foraging movement and a hunger for discovery, num-nums and morogo are back on the menu. A highlight for me must be chef Margot Jane’s sensational chakalaka lollipops. The East has always caused the biggest change in our national tastes. First, through what we think of as the Cape Malay kitchen. And today, globalising Asia holds sway. You only have to look at the supermarket shelves where whole aisles are now dedicated to noodles, sushi ingredients and Asian sauces, not to mention entire Asian supermarkets. There is a fusion dish somewhere on the menu at every top restaurant. Yet before the millennium, most South Africans couldn’t hold chopsticks. In these past five years reviewing, I’ve seen an explosion of Asian restaurants, a quadrupling in the inner city. There were three sushi places in Cape Town in 1995. Today, I count 85. When I began, critics were preoccupied with how close ethnic food came to the authentic thing. That consideration has fallen away today; it’s asking the wrong question. Still others complain of cultural imperialism, of chefs plundering and debasing their food cultures – but that seems to me too hardline. So-called authentic cuisine is as bastardised as any other. The culinary scene drills down into our cultural life from roadside tshisa nyama grills in the townships to braai in the suburban backyard. I’ve explored township eats, Kosher delis, Ramadan feasts and food at the Hare Kirshna temple. There have been the crazies too – raw foodism, a kind of religion in itself – and perhaps the not so crazy proponents of insect meat, which sent me in search of the disgusting mopane worm. It hasn’t all been upper crust fare from Gordon Ramsay, Nobu Matsuhisa and Hemant Oberoi or even mid-level restaurants. I’ve also pursued popcorn, bread, yoghurt, sardines, pub grub, fish and chips, hamburgers, boerewors rolls and franchised pizza, and the worlds of tea and of coffee. Then there have been the more unusual places – a picnic in a forest, lunch in parliament and Pollsmoor Prison, and a restaurant run by the mentally different. Once Bitten has visited our oldest surviving restaurants like the Harlequin (1957) and La Perla (1959); documented how the restaurant scene is now spreading like a fifth column of gentrification to Vredehoek and Woodstock; and poked fun at food apps and the trendiest newcomers. Sadly, even in five years, places reviewed when they opened have already disappeared. My first review was of the old Taiwanese seaman’s club in the docks, the Jewel Tavern. It moved to St Georges Mall, then again to Upper Kloof Street, and earlier this year finally closed its doors and converted to an excellent, free home-delivery operation called Monk’s Chinese, which can only be visited in cyberspace. I even made up one restaurant – Taboo, for April Fool’s Day 2011 – serving surplus SPCA cats, endangered species and “human calamari” from circumcisions. The outraged reaction followed by embarrassed red faces was actually quite unnerving. I hope I have now been forgiven. Five more years please. This article first appeared in the Mail & Guardian 20 September 2013. Ever felt like sitting in a laundry eating dim sum listening to French music? How could such a concept not be irresistible? Last time I had a dim sum breakfast at I Love My Laundry it was accompanied by the pleasant tones of Constance Amiot, Pascal Lejeune and Sandrine Kiberlain. Management has a strict policy to play only French music. This quirky little establishment also offers dry cleaning, dyeing, alterations, and ironing services. Did I mention that it is a wine shop too? And a coffee bar. And a gallery. Confused? Somehow it all hangs together as if it were the most natural thing in the world. The brainchild of owners Clayton Howard (currently sporting a conservative version of a Mohican haircut) and business partner, Mico Botha, this April it has already been open for one year. It is something you’d expect to find in lower Manhattan, and perhaps the I Love My Laundry logo primes one for that. The inspiration actually came from a place (now defunct) called The Public Library in Soho, New York. The interior is exposed red brick walls crammed with artworks. A laundry line runs diagonally across the middle with an ever-changing exhibit of things pegged on it. The entire centre of the shop is taken up by a massive 14-seater, concrete slab table; it had to be cast in the shop, the cement piped into a mould from a concrete mixer that idled outside. The table is crammed with tsatskes de luxe, from such design labels as Boe-peep “handsome things”, Sweet & Soutie “gift ideas”, Toucheefeelee “home décor and pamper products”, and even Wagalot organic dog biscuits made by the NGO work4you. Every Wednesday evening at a free wine tasting “laundry party”, photographers, designers and artists launch their work in the gallery and shop space. The result is a kaleidoscope of creative delights, and as a result the interior is completely redecorated on a four-week cycle. Even more novel, one can lease the art on a monthly basis for one’s own home or office. There is a steady traffic of people dropping off their laundry, which is returned discreetly, rather quaintly, wrapped in orange paper, so you don’t have to bare your undies in public; not that this seems to bother anyone these days as under 30-year-olds regularly sport their underwear in the street while wearing it. The turnaround time is 4 to 5 hours (at R10 per kg), but there is an express service that does it in 2 hours at a higher rate. That’s enough time to do some errands in the CBD, catch up on the free Wifi, and enjoy a cup of Brazilian jogajoga coffee at the laundry’s espresso bar. The coffee is served with the ambiguous slogan, “drink it naked”, which doesn’t mean you have to check your clothes at the laundry door, but suggests you try the coffee without milk, sugar or other “contaminants”. With or without a washing basket it is worthwhile popping in for the dim sum made by Maria Tia and her family, formerly chef at the well-hidden Bamboo Restaurant off Long Street. The dim sum is Korean style, which means no fish oil and no wheat in the pastry. Pure rice flour and water is used to produce three thicknesses of pastry depending on the consistency of the filling. There are meat options, but most offerings are vegetarian. Vegetables respond better to steaming in any event. The pricing, as with all the products and services at I Love My Laundry, are reasonable. Portions cost R30 and consist of eight dumplings served on a bed of spinach in a bamboo steamer. The tofu dim sum uses the firmer type of tofu and minced vegetables and carrots. The pastry is silky and pleasingly light. I highly recommend the kimchi filling, which includes a little tofu too. On the table are bottles of oyster sauce, soya, chili, and sweet mango sauce. Surprisingly, there is only the faintest hint of laundry smell. The detergents used are all organic, eucalyptus based and fragrance free. Windows are usually kept open however and four fans spin from the roof. As a registered heritage building, a fat trap could not be installed, which is why cooking is by steam. But every Thursday, there is a fondue evening at R125 per person. On the table are four stations, each with three shared fondues: three cheeses and three breads – a sour dough, a sweeter bread and an oil-based bread; a beef consommé with fillet, rump and green peppercorn steak, and rye bread croutons; and a dessert pot with dark chocolate fondue, brandy, marshmallows, sponge cake, orange segments and banana. To accompany the food there is no shortage of wine as the laundry is also Cape Town’s only social media wine distributor and wholesaler. They buy in bulk and offer some wines at silly prices, such as R28 for a bottle. There is a shelf of current wines with their prices clearly displayed attached with washing pegs. The venue can also be hired for parties of up to 60 standing or private sit-down dinners for 14 people. As one would expect, Howard and Botha have a dozen suggestions for themes, including toga parties. At this laundry, you can easily find yourself three sheets to the wind. I ♥ My Laundry, 59 Buitengracht Street, Cape Town. Tel 084 660 0777 or 083 602 0291. This aricle first appeared in the Mail & Guardian 19 April 2013. Perhaps no food has been more closely linked to health geeks than yoghurt. In the old South Africa, yoghurt used to be vaguely associated with people who eat wheat germ and await flying saucers to take them to a better world. In fact right up and until the late 1980s, almost the only yoghurt available locally was the thin “Bulgarian” variety from Dairy Belle, sold in cartons for drinking through a straw, or thrown in as an ingredient for certain baked goodies. And yet, there were always South African backpackers returning from exotic climes on the Mediterranean with fantastical tales of delicious extra-thick yoghurts and rumours of goats milk yoghurt laced with honey. In the end, yoghurt caught on mostly thanks to the health kick industry of the early 1990s and reports about the longevity of Bulgarians. Places such as Camphill Village led the way with organic pastures. Yoghurt-making machines became a brief craze and could be found on hypermarket shelves. Anybody completing a course of antibiotics was encouraged to binge on yoghurt. Today, yoghurt is virtually a staple food in South Africa. Yoghurt is essentially fermented milk, not curdled milk as reported by among others the Oxford English Dictionary. Two strains of lactic bacilli working together are responsible: Lactobacillus bulgarius, which acidifies the milk, and Streptococcus thermophylus, which provides that distinct aroma and the tart Granny Smith apple flavor. Sticking to the health theme, frozen yoghurt was “invented” in the 1970s in the United States as an alternative to ice cream. In South Africa, it was pioneered by Marcel’s, starting in 1989 in Stellenbosch. By 2005, probiotic BB-12 cultures were introduced and the fat content reduced to 2.4%. They have 19 stores in four provinces and are expanding to Saudi Arabia. Another frozen yoghurt franchise is Wakaberrÿ which started in Durban in May 2011 and now has 16 outlets in four provinces. When a little frozen yogurt parlour opened on Kloof Street in December 2011, it appeared Cape Town had been blessed with yet another brand, Myög. Its bold and cheerful signage, cool colour scheme, and eye-catching logo led many to assume it was the first branch of some international chain. But the interior was slightly quirky, with AstroTurf on the counters and the floor, and funky white leather couches and chairs. Taken together with the extremely attentive and personable service in slightly hesitant English, one quickly gleaned that behind the counter were owners not employees. They are the handsome duo of Frenchmen Joris Hadjadj, who hails from Auxerre, and Jean-Eric Leblanc of Montereu. Myög (standing for My Yoghurt) has been an instant hit, though somewhat forsaken during last year’s long, Cape winter. The story is familiar to Capetonians. They came on holiday to Cape Town, fell in love with the city, and devised a way to stay. They did their research and saw a gap in the market for their passion – frozen yoghurt. The South African taste it seems is for creamy and sweet. They too focus on health, outlawing artificial flavourants and heaven forbid no yoghurt powder (which gives some frozen yoghurt brands a sherbet taste). Their frozen yoghurt is rich in calcium, potassium, and its halaal certified. It has 5% sugar and 2% fat (Myög prefers to advertise this as “98% fat free”). In comparison, normal yoghurt has 4% and Greek-style 10% fat. By contrast, regular cream is 18% and double-thick cream 48%. A regular size Myög serving is 150ml and has 75kcal. The yoghurt is specially produced for them from a single Cape dairy farm using fresh skimmed milk (not UHT), which means the yoghurt has a relatively short shelf life. This is partly why in addition to plain they offer only one weekly flavor, cycling through real peanut butter, coconut (very subtle), mixed berries, Nutella, and rooibos. They will soon add cinnamon. Toppings include nuts, Astros, muesli, Oreo cookies, fresh seasonal fruit (in summer and when available, mango, kiwi, strawberries, pineapple and melon, and in winter apple, pear and banana). Myög offers its flavours in smoothies. The rooibos is my favourite; the inclusion of nuts with the rooibos was a taste revelation. You can also try the parfait with layers of yogurt, muesli and fruit. To date Myög had been open from noon till 10pm, but will soon open for breakfast from 9am. Large waffles promise to be popular, as well as their invention, a Yoffee – coffee with frozen yoghurt instead of milk or cream. Plans are now well underway to open an outlet in Sea Point. Perhaps, a new franchise has landed after all. This article first appeared in the Mail & Guardian on 3 May 2013. Foodism: Let them eat artisanal cake! ‘You are what you eat” has never rung truer. The revolution has failed. Consumerism and globalisation have triumphed, and it has been done through food. Where once there was a rebellious middle-class youth, today there are little gourmands more interested in lemon grass than marijuana, in menus rather than manifestos, in mixing pisco sours rather than lobbing Molotov cocktails. It’s no longer the doors of culture they want to see opened for the proletariat, it’s the pantry. Dinner conversation among the chattering classes has turned from Marikana to parmigiana, from the arms deal to where to get the best veal, from discussing the secrecy Bill to fussing about what doesn’t go with dill. What piques us is not the Nkandla scandal but cooking à la king. Foodism is supplanting art and culture. We prefer fettuccini to Puccini; bok choy to Tolstoy. As a food columnist I feel partly responsible. The change in my lifetime has been remarkable. When I grew up in the 1980s, the culinary culture of South Africa was dire, sexist and very unhealthy. But, in my case, the die was cast early. As an eight-year-old on the school playground the other kids would run away screaming when I opened my lunch box of stinky Roquefort cheese sandwiches, courtesy of my Belgian father. At home, we had witloof (chicory — almost unheard of in those days) and ate raw herring. On the rare occasions my school friends visited, they thought my family was trying to poison them. They were accustomed to braais and potjies, beef and potatoes with gravy powder, chicken and white rice with canned mushrooms, cauliflower with instant white sauce, I&J fish fingers and slap chips. For a while, the snackwich machine cheered everyone up. Coffee was instant chicory. Pasta was macaroni baked with slices of watery tomato and melted sweetmilk cheese. When the first packets of dried spaghetti arrived, South African housewives cooked it until it had the texture and taste as close as they could get it to spaghetti in a tin. Bolognaise was made with sugar and a packet of tomato soup. Today, our supermarket shelves groan with variety. In Woolworths, you find carrots in three colours, Polish blueberries, Mexican avocados and snoek from New Zealand, not Kalk Bay. Pick n Pay has dozens of brands of olive oil and balsamic glaze, and even sells lime foam in aerosol cans. My local Checkers, for years a shabby place where anything special would expire, now offers live crayfish, an oyster tank, rabbit and buffalo milk mozzarella. My hamburger, my boerewors roll, even my samoosa have gone gourmet. With the current meat scandals, and apparently giraffe and kangaroo doing the rounds in our biltong, and possibly horse in our supermarket burgers, there seems to be a cogent argument for gourmet fillings, where one has the reassurance that only the choicest ingredients procured from the best suppliers are used. Within 250m of my living room (I have measured this on Google Earth), I have a choice of dozens of restaurants, including fusion, Italian, Chinese, Japanese, Vietnamese, Thai, Lebanese and Indian. Perhaps it’s because I live in Cape Town where we are obsessed with eating out. I mean, how many sous vide water baths are there outside the Western Cape? I admit, I would rather talk about creamy potage than grubby politics these days, but I’m beginning to have some doubts. My bedside creaks under a pile of biographies of the pineapple, the potato and tuna, and an autobiography of a chef, Anthony Bourdain. Morris Kline’s Mathematics in Western Culture has been pushed aside by Cooking for Geeks; my Larousse Encyclopaedia of Mythology is invisible beneath my Larousse Gastronomique. On Sundays I no longer paint: I cook. Thankfully I don’t have television (it has been replaced by the oven) or I would end up watching reality TV shows such as Junior MasterChef (there are now versions in 10 countries) with children aged between eight and 13 making nori rolls and parfaits. How did we get to a point where four-foot-high tykes are pitted against each other imitating Heston Blumenthal with foams and molecular cuisine? Is this a better world? Part of me wants to rebel: I wonder whether it’s not all too gluttonous and self-absorbed; a great distraction from what really matters; a world where we are turned into profitable, insatiable eating machines consuming more than we need, driving up demand, chasing every new fad. As the fashion industry gave us the must-have item for every season, now we will have the flavour of the month. Just as the pharmaceutical industry invented all kinds of new ailments for us, the food industry — at a price — will keep finding new things to free us from — not from wage slavery, but from eggs, caffeine, gluten, lactose, sodium, sucrose, genetically modified plants and the preservatives and additives they added in the first place. Is it even possible to rebel? Isn’t the real appeal of the free-range, organic, local, artisanal, humanely butchered slow food not altruism, not hitting back at the corporations, nor even saving the planet, but the greedy promise of the next titillation of tastier, more scrumptious, guilt-free food? Some worry that foodism is a fresh form of class warfare, a new disguise for snobbery and elitism. Are the yuppie markets and little eateries springing up in Woodstock and Salt River or Maboneng really the fifth column of gentrification? Instead of critiquing the latest art-house movie or Booker Prize winner, you will end up being looked down on if you don’t know how to thicken a runny ganache or rescue separated mayonnaise — that is if you still dare to buy mayonnaise in a bottle, chicken stock in a cube, or sneak bottled salad dressing under your guests’ noses. You will only impress if you can pontificate on why egg whites are best whipped in copper bowls or know what length makes a French loaf a baguette, a bâtard or a ficelle — all this in a country where the Council for Scientific and Industrial Research says we throw away 9.04-million tonnes of food a year. In pure maths terms, that is half a kilogram of food waste every day for every one of the 50-million people in South Africa. How many half-kilos are you responsible for? And on a global scale, the foody quest for exotic wonders is harming communities out of sight and far away. The global popularity of sushi has pushed the bluefin tuna to the point of extinction. Since quinoa was discovered by Westerners and its virtues extolled by food writers, myself included, Andean peasants can no longer afford what was once for them a dirt-cheap and vital staple protein. Perhaps, as with all cultural revolutions, there are aspects we love and others we hate. We should be on our guard: foodism has the potential to be as oppressive and harmful as any of the isms, from consumerism to communism. We have become wary of politicians and not wary enough of celebrity chefs. And we best be mindful that, unlike art, food only superficially nourishes the soul. This article first appeared in the Mail & Guardian on 8 March 2013. 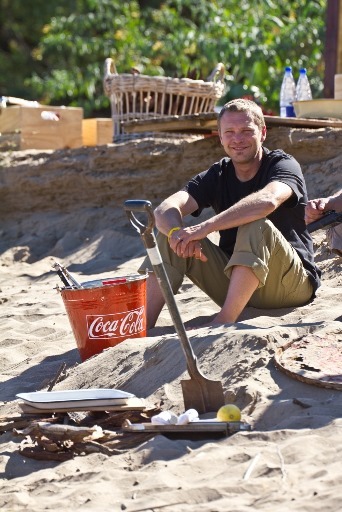 With the first series of the Ultimate Braai Master, celebrity bush cook Justin Bonello (pictured above) inducted the first batch of South Africans into the world of reality TV cooking shows. Fifteen teams of two contestants covered 8 000km and 13 locations around Southern Africa in a 52-day outdoor cooking roadshow that involved “extreme cuisine” and gruelling challenges. Auditions for a second season are now underway. The first series excelled at showing off, TV fashion, the beauty of South Africa, with colours boosted in post-production and tumid Carmina Burana-style music. The format of an escalating tournament with elimination rounds had the suspense, judging and rewards of shows such as Master Chef. There were elements of Survivor, as when in the fourth episode Bonello told contestants that it was very likely they could be bitten by a snoek, which has anti-coagulant mucus; in the event of that happening, they would have to burst one of its eyeballs and rub it on the wound. Some challenges, such as dishing out huge, whole catfish for braaing, evoked Iron Chef. But, even for an arch sceptic of reality television, there was something more honest about Ultimate Braai Master compared with most reality TV shows, which are notorious for their misleading editing and hidden scripting. In a departure from the norm, Braai Master had a sense of generosity and bonhomie among the competitors; the finalists even made a pact to share a portion of the prize money. Bonello, the man behind the series, is similarly down to earth, despite his meteoric career — a dozen books and TV series and more in the pipeline. He is sporty, slightly rugged, loquacious but also discerning, alert and cultivated — more metro-oke than metrosexual. He insists he is a cook, not a chef. “I’ve never said I’m anything else.” A chef “is trained to give you an experience. I can just give you an experience”. When he was growing up, he was “lucky” in that his family went away a lot, and he was the one who went diving for abalone, harvesting mussels and fishing. His grandmother taught him to make pancakes at the age of six. Aspirant braai masters have to be screened and must answer an on-line questionnaire. For the first series, one question was: How would you cook a warthog? “Venison is notoriously difficult to cook but the minute I saw the third red wine and pineapple recipe, I knew it was cutting and pasting from the internet, and there is no skill set involved in that. After a few days, the contestants forget about the camera. Now that people have seen series one, won’t things be different, I ask. “I think people were scared by the calibre of what was produced [in series one].” But, says Bonello, people shouldn’t be discouraged; those contestants improved enormously during the filming from having to cook every day and going through the challenges under pressure. They developed their expertise in leaps and bounds. I say that there must have been an enormous temptation to manipulate the show, especially in the South African context, to get the demographics right for the TV audience. Series one ended with three pairs of whites. “Yes, you can skew things in reality television but, if you blow your integrity …” He shakes his head. “We have an obligation with the contestants to tell the truth … Only you can make yourself look bad … We don’t construct. Indeed, before electricity and gas, fire was the stove. And the fire, like Bonello’s own flair, gives it something unique. This aticle first appeared in the Mail & Guardian. In the summer of 2011, I spent four days in a log cabin in central Finland without electricity or piped water, harassed by clouds of mosquitos that could bite through gloves. We brought with us potatoes and tomatoes, but that was all. Every day we caught perch and vendace in the lake, and foraged in the forest, where sea buckthorn grows and the floor is carpeted with blueberries, lingonberries and great patches of chanterelles. There is a primordial thrill about finding free, wild food. That said, it was hard work; from sunrise we chopped wood, gathered the fishing nets, gutted and filleted the catch, rummaged through the forest floor, fired up the wood stove, and then, towards evening, set out once more to drop the fishing nets. There was no time to write a novel. We dined simply; you’d be hard put to improve on fillets of fresh vendace barbecued over the coals. More organised Finns commonly have a dedicated barbecue hut (called a kota) with the fire and chimney in the middle of a central table. For the Finns, hunting and gathering is par for the course; almost everyone has a cabin somewhere in the countryside. But most people in the world live in cities and forage for dinner among the shelves of their local supermarket. It was after Nordic chef René Red-zepi’s Noma in Copenhagen became “the number one restaurant in the world” in 2010 that the food media started to pick up (and to some extent create) a new trend to forage. What made Noma special was Redzepi’s predilection for using wild ingredients. Foraging became fashionable: finding mushrooms in city parks; hardy edible weeds growing alongside railroad tracks; duwweltjie leaves on pavements; and, in the United States, abandoned fruit trees in the gardens of foreclosed homes after the subprime mortgage crisis. Foraging has inspired books (one of this year’s favourites is Foraged Flavor by Tama Matsuoka Wong), guided tours through urban forests such as New York’s Central Park and a daring new cuisine cult among some of the world’s top chefs. Wild radish may be the new rocket for the jaded gourmet palate, yet we are also trying to reconnect to a planet in greater ecological peril than ever before. Foraging dovetails neatly with the organic, locavore and slow food movements. On a small scale, foraging has joined the rebellion against industrial agriculture. Revolutionary zeal aside, foraging is undeniably about our desire for new and tastier experiences. Chefs have to some extent always foraged, especially in Europe (think of truffle hunts and seasonal berry picking), but Redzepi took it to a whole new level of sophistication and opened people’s eyes to edibles previously overlooked. Soon foraging was picked up by Martha Stewart and others such as Eddy Leroux at Daniel in New York and Alice Waters at California’s Chez Panisse. 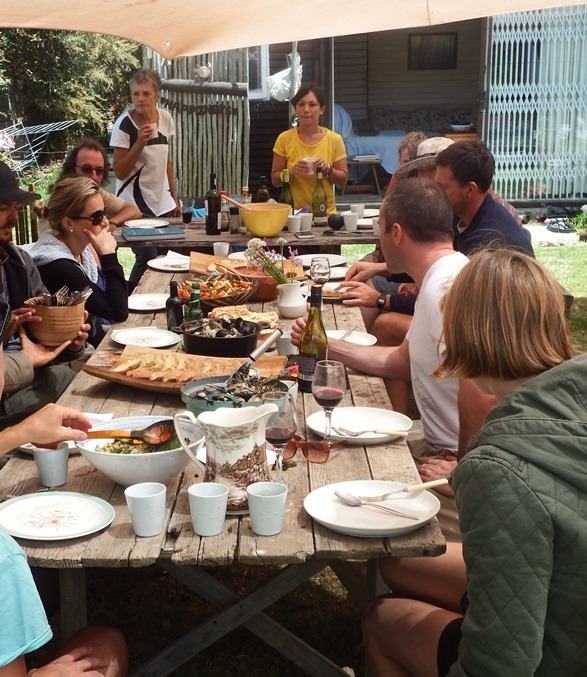 On the home front, several Cape chefs have also turned their talents to foraging. Eric Bulpitt of the Roundhouse in Camps Bay said it is a “long and very time-consuming” process to find the right taste combinations using untried ingredients. Although many chefs love to forage for themselves, a new industry of professional foragers has emerged. Miles Irving, for instance, the author of The Forager Handbook (2009), started a company to supply British chefs with wild ingredients. Today he has a catalogue of more than 120 edible ingredients. Bulpitt has used Kalahari truffles in the past and is currently verifying and experimenting with a great variety of plants, among them wild ginger and rooiwortel, and herbs such as dead nettle, sow thistle, Cape wormwood and four varieties of wood sorrel. He is still working out how exactly to use them. Chef Peter Tempelhoff of The Greenhouse at the Cellars-Hohenort (awarded restaurant of the year at last year’s Eat Out DStv Food Network restaurant awards) loves the red berry-like fruit of Carissa bispinosa, known as num-nums. You’ll find locals on the roadside in KwaZulu-Natal selling this fruit in late summer. In another dish Tempelhoff matches tuna with smoked snoek broth, tofu and daikon with bokbaai-vygie. 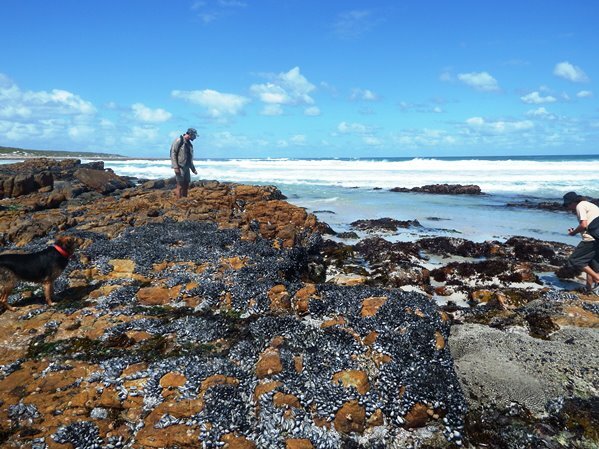 He forages for cep mushrooms on Table Mountain, samphire from the Keurbooms River estuary and picks sea lettuce off the rocks at the Marine in Hermanus. Chef Shaun Schoeman at Fyndraai near Paarl serves katballetjies, the tiny bulbs of an indigenous, liquorice-flavoured plant, uses salvia in a mayonnaise emulsion and flavours crème brûlée with the fragrant fynbos shrub buchu. On the Solms-Delta wine estate he has acres of fynbos at his disposal. “We are making the most of our wild plants and herbs, which we grow in our culinary Dik Delta garden,” said Schoeman. He uses herbs “on a daily basis in almost every dish we prepare at our restaurant … plants such as citrus buchu, wild rosemary, wild garlic and pelargonium”. Nutty, mushroom-tasting !N’abbas are delicious peeled and gently fried in a little butter. “Winter is the best time … sow thistle can be cooked like spinach. Wild radish and wild mustard seed pods are delicious in salads and stir-fries. Depending on the condition of the specific plant, the young leaves can also be eaten like rocket. 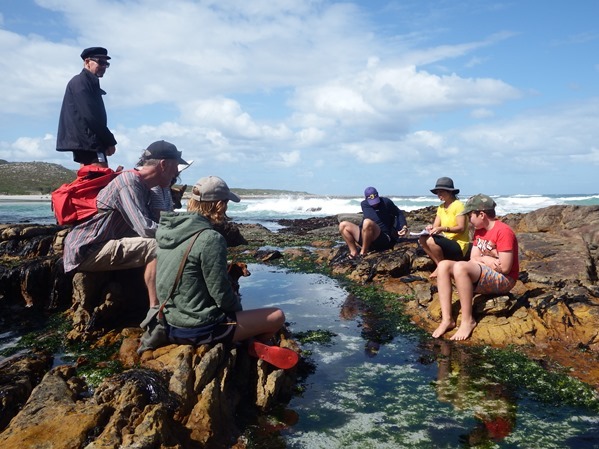 Oxalis leaves, stalks and flowers are invaluable when making traditional waterblommetjie- or veldkoolbredie”. Foraging might have been plucked from recent obscurity, but it has a pedigreed literary history of fine dining. The poet C Louis Leipoldt’s Cape Cookery (unpublished when he died in 1947) has a whole veldkos section. It includes such tantalising comestibles as blue-white iris corms, wild sorrel (gathered by sailors to ward off scurvy since before Van Riebeeck’s day), wild fennel, wild anise, wild almond tree seed, and water hawthorn. But before you look twice at that mushroom you used to dig out of your lawn with annoyance, consider the three Ps of foraging: permission, pollution and poison. In Finland everyone, including visitors, is allowed to forage in the forests for free. In the United Kingdom, the landowner may chase you away but, as long as what you’ve taken is for personal use, he may not confiscate your pickings. In New York expect a $250 fine if you’re caught raiding the lawns of Central Park for minty ground ivy without permission. In South Africa, make sure you are not pillaging a protected area. One hears about the poaching of Kalahari succulents and the wholesale plunder of wild garlic in the Cape’s Tygerberg reserve. You should always forage with a view to sustainable harvesting. Never pick every last mushroom or pull up a plant by its roots. Many plants are poisonous, especially mushrooms, and thanks to nature’s disguises it can be devilishly difficult to identify the edible from the deadly. Urban areas are also highly polluted. The peppery nasturtium you just picked by the roadside might have been used minutes before as a signpost by a dog. For recipes visit Kobus van der Merwe’s excellent blog. This article was first published in the Mail & Guardian 30 November 2012. Eight teams had assembled on the lawns of the Constantia residence of the Spanish Consul General, Ignacio Garcia-Valdecasas, for South Africa’s first paella competition. They had brought their gas burners and cooler boxes of ingredients. Several of the paelleros (the paella cooks) were wearing frilly polka dot aprons. It was a warm day and the sangria was flowing within minutes. Paella is one of Spain’s great gifts to world cuisine. It is considered a national dish globally, but it is thought of as a regional dish in Spain. Its origins are Islamic; the Moors of Andalusia brought rice to Spain in the 9th Century, but rice only started to be widely cultivated around the 15th Century in the region of Valencia, the home of paella. What we call paella today emerged in the 19th century. Paella is at once a great comfort food – there is something peasanty about dishes where everything is cooked in one pot – and yet it has the opulence of saffron and can be brim-full of such extravagant ingredients as lobster tails and tiger prawns. If you’re lucky you’ll find paella cooked in pans on open fires on the backstreet pavements of Valencia. The pan is called a paellera. It is shallow and may be a metre across, though most people use pans half that diameter. Paella is popular for celebrations and get-togethers. Traditionally men cook, much like our braai tradition. You eat straight from the pan, which becomes the table. If cooking paella at home there are recipes for hot plates and ovens, but these end up as a sort of casserole. You need a gas burner; and many of our stoves don’t have wide enough burners to spread the heat under large pans so it’s worth using a Cadac burner. Gas allows you to speed or slow the cooking which is the essential paella skill. Only use olive oil. Real paella is all about the rice and first prize is Bomba, but it isn’t readily available here. Arborio works perfectly well. The key is rice that it be super absorbent. Unlike risotto you do not braise the rice first. You never stir it either, but pat it. And unlike risotto you don’t slowly ladle in the liquid. The biggest test, and this is where experience shows, is getting the right ratio of liquid to rice. The liquid should be the finest stock you can make. If you’re making a marine paella use seafood stock. The other vital ingredients are the sofrito of tomato (some say never use onions), rosemary, and of course Spanish saffron (never turmeric!). I enjoy a paella that celebrates the omnivore in us, but opinions about what is and what is not appropriate to go in paella can be tetchy. As the dish has spread across the regions of Spain and indeed the world, it has obviously attracted as many different ingredients and combination of ingredients. Valenica’s purists abjure seafood and use meat, but never Chorizo or sausage. Green peas are considered traditional. Original versions of course included whatever came to hand, such as frogs. Many purists still insist on snails and rabbit. Paella marinera (seafood) is possibly the first thing most South Africans associate with paella. I simply look for a balance of ingredients and I am not too fussed if I find poultry, seafood and meat all in one. The end result should also not be greasy, which is the fate of most paellas. The real hallmark of great paella is the socarrat, the caramelized portion underneath or on the sides of the pan where the flames have licked the rice, while the top remains fluffy. Paella should stand for a few minutes and is best served tepid, not piping hot. The teams had to be ready to cast their rice by 2pm (paella is traditionally eaten only during the day), when we judges would make the rounds, armed with plastic forks and paper plates, not the traditional boxwood spoons. Third prize went to a vivacious group of ladies which included team members from Spain, Argentina and Chile; second prize to Miguel Calvo for his rabbit paella; first prize to the golden grains of Pedro Sanchez. In our local restaurants however risotto remains king. If you’re in search of paella your best bet is La Bruxia (341 Main Road, Sea Point; Tel: 021 434 8797). Liam Tomlin’s Spanish cooking class includes paella at the Chef’s Warehouse and Cookery School (50 New Church Street, Cape Town; Tel: 021 422 0128), where you can also obtain real Bomba rice. This article first appeared in the Mail & Guardian on 8 June 2012.